Taipei and Beijing plan a pact on the share of medical information and drug development but opposition voices raise concerns regarding Taiwan’s growing dependence. 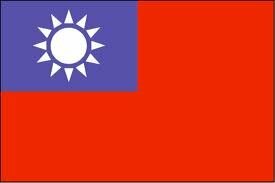 Taiwan and China plan to sign an agreement to share information on epidemics and cooperate in the development of new drugs when the two sides meet in Taipei next week [20-24 December 2010] for their regular semiannual talks. The pact is a further step in the efforts by Taiwanese President Ma Ying-jeou to strengthen ties with the mainland and reduce cross-strait tensions, which have reached their lowest level since the sides split amid civil war in 1949. However, a planned investment protection agreement will not be signed during the meetings next Monday to Wednesday [20 – 22 December 2010] - the sixth since Ma became president in May 2008 - because China rejects a Taiwanese demand that international arbitrators adjudicate investment-related disputes. Taiwanese officials have said the new medical agreement will facilitate cross-strait exchanges of information on epidemics in each other's territories, and cooperation on the development of vaccines to counter any outbreak. The deal also will allow the two sides to work together on the clinical trial of new drugs, a step that Taiwanese officials say will accelerate the entry of Taiwanese products into the lucrative mainland market. Since Ma took office 2 1/2 years ago, he has shepherded the signing of more than a dozen China-related commercial agreements, including a wide-ranging tariff reduction deal signed in June that his government says will help revitalize the sluggish Taiwanese economy. Taiwan's main opposition Democratic Progressive Party is not planning any demonstrations during this new round of talks — in contrast to the strong support they gave for mass rallies to protest Chinese envoy Chen Yunlin's arrival two years ago — a reflection of just how routine these meetings have become. However, the DPP continues to insist that Ma's push to link Taiwan's high-tech economy ever closer to mainland markets is bad for the island's future, because it undermines the competitiveness of its once strong light industrial sector, and opens the door to increasing Chinese influence. The party says that influence will erode the island's democratic character and threaten its de facto independence.